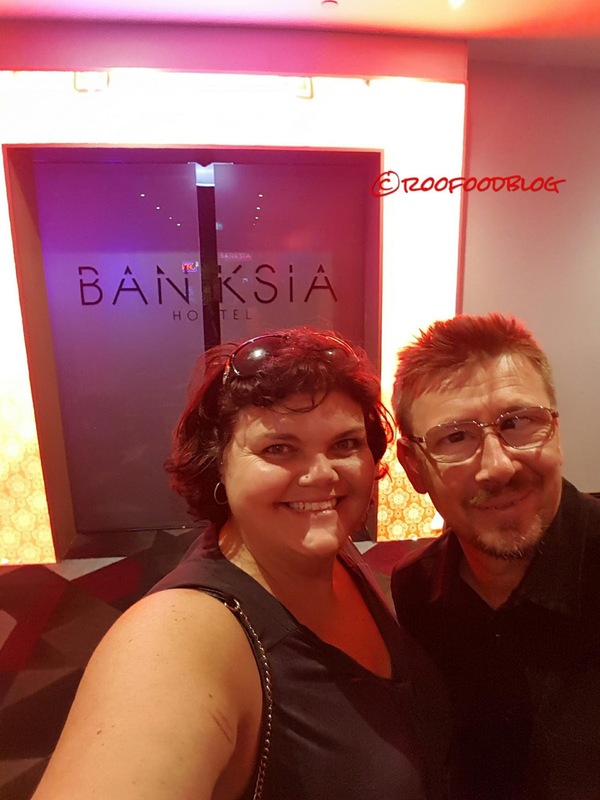 When news hit that the Banksia Hotel was welcoming a new bistro, my interest perked up. Colin Fassnidge has teamed up with Leigh McDivitt of 3 Weeds to bring us Banksia Bistro. A gastro-style pub that us locals in the South have needed for some time and we are excited! The Bistro is simple, green, leafy and bright! 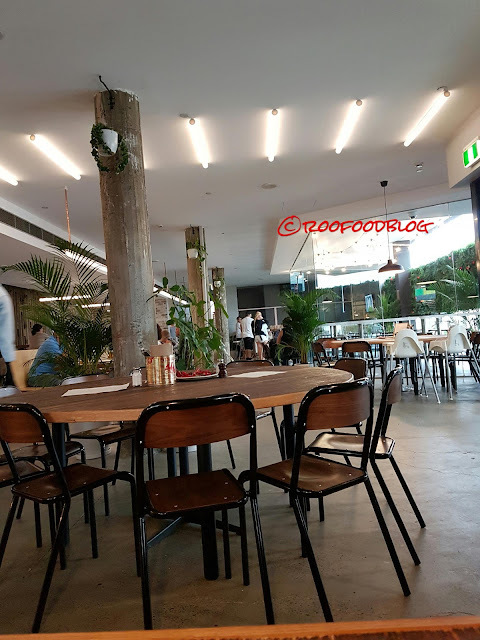 The feels are about community, comfort, enjoyment and laid back dining. There is a small play area for the little ones too. The hotel also has also an area of high top tables in front of the bar area where you can dine and watch your sports as well. The Bistro has been opened a week when we decide to check it out. We head down early and within 20 minutes the bistro was packed. We were lucky to be seated in a booth that offered the perfect view of the kitchen and the dining area. Although the menu may seem limited at first glance it actually offers some interesting dishes for a pub. With the likes of chicken liver parfait, crab on toast, ham hock and pigs ear schnitzels for entrees amongst the more regular pub grub comforts including chicken schnitzel, Irish stew, corned beef, and a burger you are in for a great meal. The chefs' philosophy of nose-to-tail dining is definitely showing through on this menu! But tonight we focus on the mains. We cannot pass on the beer battered market fish with chips and the house made buttermilk chicken schnitzel with chips. Although the kitchen is getting very busy as more people are arriving we were surprised how fast our meals arrive. We decided to share our dishes (you know for maximum tasting purposes). 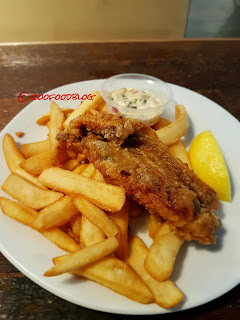 The beer battered fish is crispy, light and the fish was juicy and meaty. The house made tartare was awesome. The chips are perfect to. They are chunky, hot, crispy, crunchy with fluffy middles. 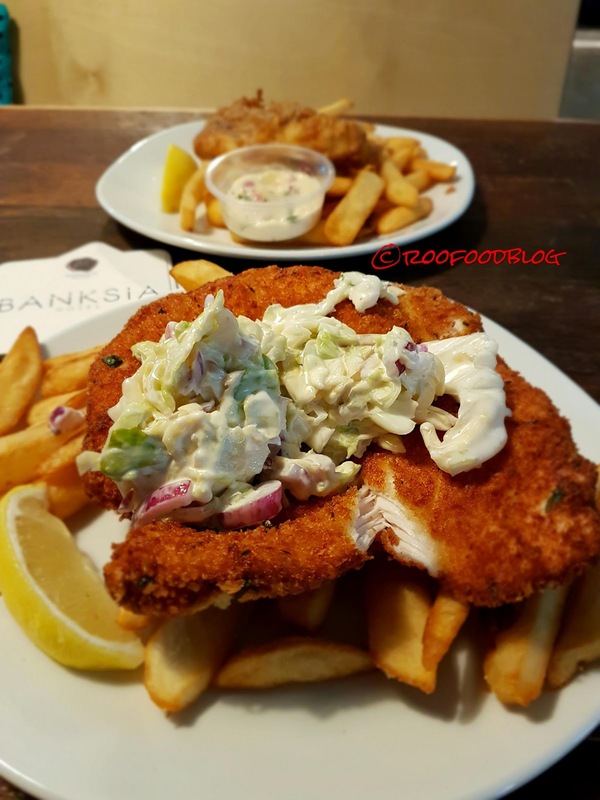 Slicing through the huge buttermilk chicken schnitzel was as easy as slicing through butter. Super juicy and tender with a herby crunchy panko bread coating was delightful. The coleslaw is crunchy, chunky and not swimming in dressing which is great! That will not stop me returning for a meal. 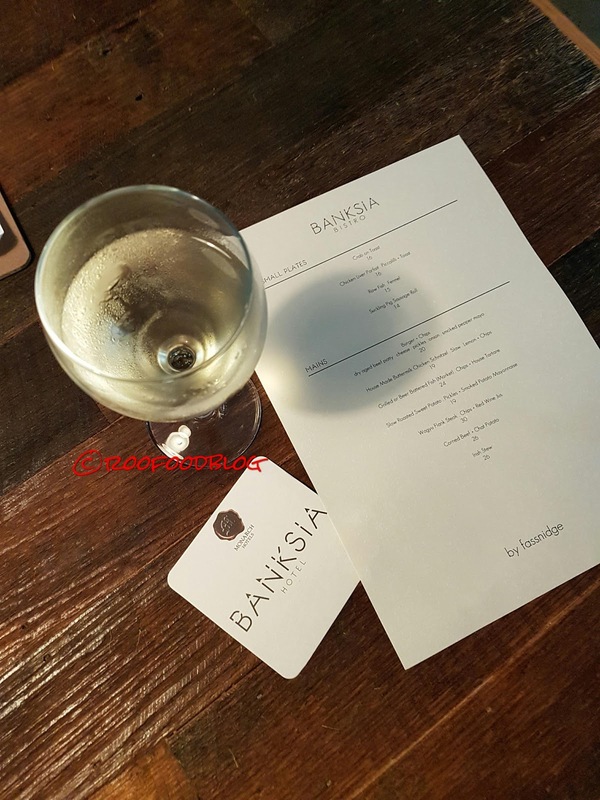 I am looking forward to spending more time at the Banksia Bistro. 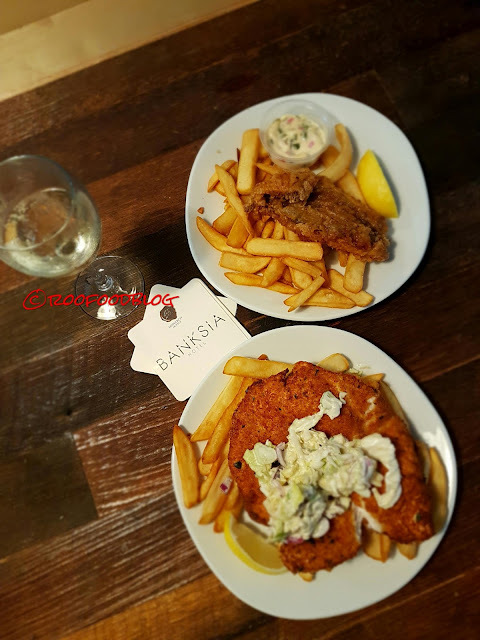 Next time the pigs ear schnitzel and crab on toast will be a must! They have done a stellar job at updating an refurbishing a weary looking hotel and us locals are very happy to have Colin and Leigh in the area!!! Hi, if you are still blogging on your other blog, could you please add me to allowed readers, I miss your updates! Went here for a great all-you-can-eat buffet and they held nothing back. The food, service and mostly the staff at event space NYC were truly amazing. I was starving and am one of those voracious "sampling" type eaters who has to try everything in a buffet, and I couldn't make it!